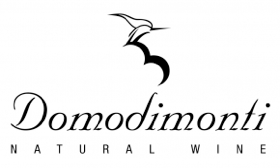 Please join us for an exclusivetasting of Domodimonti’s glorious wines paired with artisan cheeses, charcuterie & breads along with passed appetizers. Domodimonti, a boutique vineyard and winery nestled in the breathtaking Italian countryside of Montefiore dell’Aso in the Le Marche region, places an emphasis on producing their wines in the purest, most natural fashion. Located between sea and mountains and far from any urban centers, the low-yielding vineyards are sustainably farmed using all organic matter. The grapes are hand-picked. Little or no additives are used in the winemaking. Their new state-of-the-art winery is designed to generate minimal visual and ecological impact on the surrounding region. The objective: natural wine! After eight years working side-by-side with Chef Nobuyuki “Nobu” Matsuhisa’s Nobu NYC as a Master Cook and later as Executive Chef at Nobu Las Vegas, Chef Joseph Elevado opened his own restaurant, Social House, in Las Vegas in 2006 where he put his unique style of cooking to practice and delivered a bold dining experience considered both eclectic and approachable. As Executive Chef at L’Ermitage Beverly Hills, Chef Joseph is bringing his talents in both Asian and Italian cuisines to L’Ermitage’s newly opened Livello. A series of wine (beer, sake…) pairing dinners and tastings with benefits. While L’Ermitage Wine Club events are open to the public, we hope to attract a membership of wine and food lovers that will regularly attend the Club’s various wine-related events and take advantage of the benefits that come with membership, such as discounts on featured wines, Frequent Winer Point Awards, and discounts from certain retail, restaurant and cultural partners of the Club. Membership is free.